→ Safari Zone: Can we give it some use? Safari Zone: Can we give it some use? Re: Safari Zone: Can we give it some use? I think it looks cool like that. Also, if you repoint the table for Kanto wild pokemon data, you can add entries for the Safari Zone at the end if you like. A warning though, I don't think that any of the wild pokemon editors support repointed data though, so you could have to edit it manually. Hmm I'll have to learn that then. I mean I can do scripting and what not in FR, but Gen II hacking whole nother story, Besides I actually plan on releasing a small patch, nothing special. I just placed all the Japanese Gold/Silver Sprites that were changed in the English Localization, like the Sages praying, and Fishermen smoking. I also replaced the Pokemon sprites in Gold that were changed as well, and added the three Johto Starters to be caught in the wild early on in the game. If you're completely new to hacking like me, can't understand how to repoint now matter how simple the tutorial is, and/or you just can't seem to get anything right to reactivate the Safari Zone in a Gold/Silver Rom, then this is the tutorial for you. It DOES require a bit of hex editing, but you'll only have to hex edit 2 BYTES of data. Special Thanks go out to IIMarckus for telling me 90% of the stuff in this tutorial. 1. Open your ROM in Gold Map. Go to Fuchsia City, Map 3 (the city itself). 2. Go to the top of the map. There will be a building with no door. It is the entrance to the Safari Zone. If you click on the 'Events' tab, you will see a warp (purple square with a 'W' in it that leads to another map) where the door is supposed to be. Go back to the 'Map' tab, and click the door in the Block section on the right. Click on the doorless building, and if all has gone well, it is no longer doorless. 3. Go back to the 'Events' tab and drag the warp on top of your newly placed door. 4. Save your ROM now. and yet again, no door. Look through your map Blocks for the carpet looking exit (if you have no idea what that is, look at the map of National Park, at any of the exits). Click it north of those blue things (they're fountains if you couldn't guess). 6. Do the same thing you did in Step 3, just instead drag the two warps onto the carpet. 7. Save your Rom now. 1. 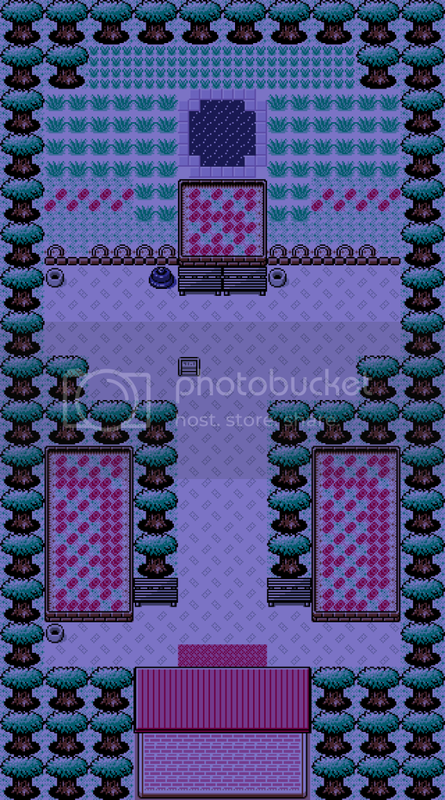 In Gold Map, go in your rom to Fuschia City, Map 2 (Safari Zone). Double click the little 'Map 2' or go to 'Tools --> Map Properties'. 2. Under 'Area:', change it from 'Fuchsia City' to 'Silver Cave'. This sounds stupid but is very important, because it tells the game where it should look for your wild Pokemon data. EDIT: In Gold Map, the Safari Zone Map will no longer be located under 'Fuschia City', but under 'Silver Cave'. This will not affect actual gameplay at all but is VERY important to know later, when you edit wild Pokemon. 3. Save your Rom now. 4. Open your Rom in your favorite hex editor, and go to OFFSET 0x02AB35 (controls wild Pokemon at certain maps). At this offset search 0345. This is the map number of the Silver Cave waterfall-only areas (conveniently located on one map.) Replace 0345 with 0351, the map number for the Safari Zone. Save your rom. If done correctly, you have just put wild Pokemon into the Safari Zone. 5. In the Safari Zone, you will run into the wild Pokemon from Silver Cave. To change what Pokemon you'll run into, open your Rom in Gold Map. Go under the 'Silver Cave' folder and look for the Safari Zone map. It should be Map 5 but this can vary. Click the 'Wild Pokemon' tab. Edit away, and I would suggest putting the 'Less Attacks/More Attacks' slider more towards the 'More Attacks' position. Otherwise, you'll be running around for two minutes before you find a Pokemon. EDIT: And to change the rarity of a Pokemon, just put it lower down the list. 7. Save your Rom and play away. UPDATE: Okay I was able to incorporate Wild Pokemon in the Park. All I need to do now is be able to get all the NPCs dialogue within the place. Just talking to them would restart the game, doing the glitched up title screen revealing Ho-Oh's true colors XD. That and possibly make the place a bit bigger.